I’m delighted to announce that a new Jack in the Green went out this year. The Grand Hama Morris Jack-in-the-Green paraded in the city of Isehara in Japan accompanied by the Grand Hama Morris team who are based in Kanagawa, Japan and were established in 2015. I’m having a little bit of trouble translating information about Grand Hama Morris but would love to know more if any members of Grand Hama Morris read this post and could get in touch with me please. This entry was posted on May 21, 2017 by Chris Walton. 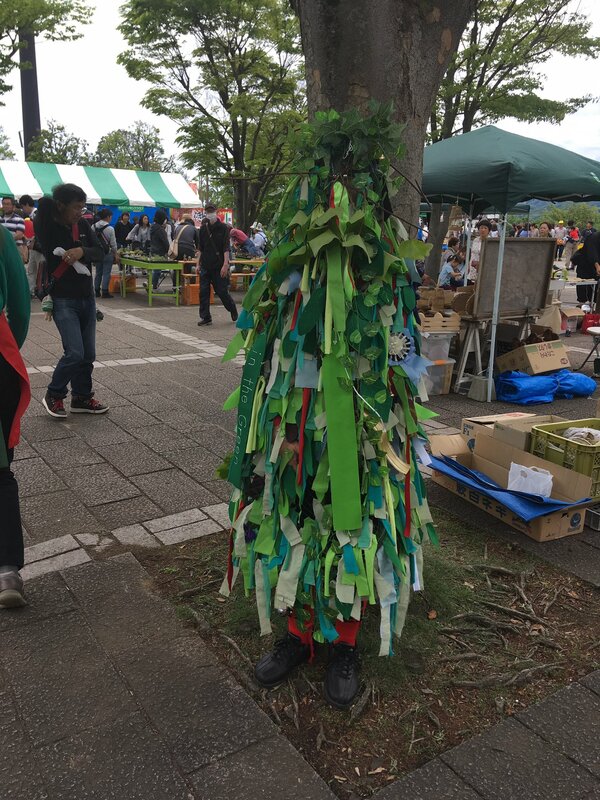 It was filed under Jack in the Green and was tagged with grand hama, Green Man, Isehara, Jack in the Green, Japan, Kanagawa, Morris. That is really remarkable! Welcome, Isehara, Japan!